Volvo has announced that every car it makes from 2019 onwards will be fitted with an electric motor – either as a pure electric vehicle, a plug-in hybrid or a ‘mild’ hybrid – in an effort to reduce CO2 emissions. While that might sound like unprecedented and wild news, it’s important to remember that ‘mild hybrid’ is industry jargon for what car owners know as ‘start-stop’. So the announcement isn’t quite as shocking as it might first seem. However, in Volvo’s defence it does clarify that the mild hybrid system it will offer is a new, 48-volt system that provides better regenerative braking, slight assistance under acceleration and longer start-stop endurance, even when there is heavy load from in-car tech like the air conditioning. That is an improvement over the typical start-stop systems of today, but other manufacturers are already offering similar systems, including Audi. The big news, really, is that Volvo will have no cars in its range that don’t have the improved mild hybrid system – though it’s likely most manufacturers will adopt the same approach. There will be five pure-electric cars introduced between 2019 and 2021 – three Volvo models and two from Volvo’s performance arm, Polestar. 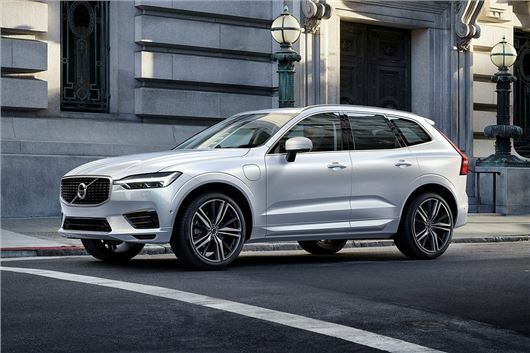 The rest of the electrified models will use either petrol or diesel plug-in hybrid systems, like those already used in the T8 versions of XC90, S90 and V90.